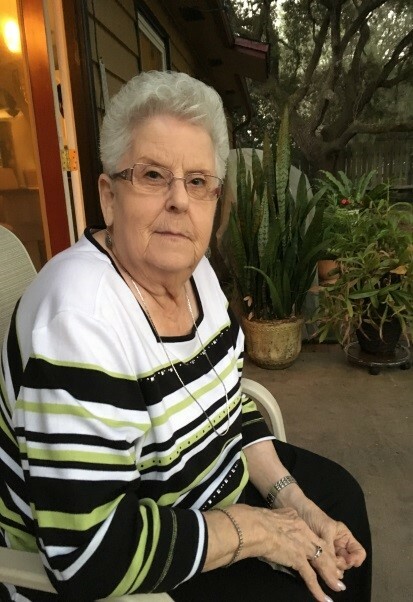 Sylvia Fann Chappelear, age 82, of Ft. Walton Beach, FL, passed away on Feb. 7, 2019. She was born to James and Isla Fann on August 22, 1936 in Erwin, NC. She was a long time resident of New Orleans, LA and was always an avid Saints Fan. She enjoyed spending time with her family and friends at El Paso Restaurant and Rick’s Crap Trap. She will be remembered for being a loving Mother, Grandmother and Great Grandmother. She is survived by her children, James, Timmy (Debbie), Kimberly (the late Michael Holmes), and Sylinda (Ricardo), grandchildren, Jennifer, Danielle, Alan, Chad, Scott (Robin), Joshua, Jace (Bre), great grandchildren Colston, Drew, Kailer, Nathan, Artemis, Landon, Kinsley, and Zeb and an abundance of friends that she love dearly. A Celebration of Life will be held Saturday Feb. 9, at Rick’s Crab Trap on Eglin Parkway at 2:00pm.